Winter Fun with Snow Queen, Snow Princess, and Snow White! Have you been frozen this winter? welcome Anna and Elsa! Book your events today! TEE spends some time with Neil Patrick Harris, David Burtka, and family! Someone has been playing follow the leader! we have been having a great time this past summer with our newest additions of Peter Pan and Tinkerbell! Take a look! Princesses, Fairies, and Mermaids, TEE is going strong! Also Introducing our new Snow White! Welcome Beauty in her new Ball Gown! and dont forget the holidays! Beauty loves holiday gatherings! Exciting Summer! Birthdays, Special Events, and the California Aids Walk! Plus new Characters! We have had such an exciting summer here at True Enchantment! Firstly we would love to welcome aboard our newest cast member, Mandy Mefford! And of course what would this fall be without Beauty in her beautiful golden ball gown! Cinderella, Fairy Godmother, Beauty, and Little Mermaid were all stars at the California Aids Walk, bringing joy and enchantment to all who joined in! Then The ladies were graced with some lovely photos on the Broadway World website! Check out photos of EVERYTHING below!!! Thank you to all the families for lovely parties! Here’s a few photos from some recent events! True Enchantment Isn’t JUST for Kids! True Enchantment LOVES doing all kinds of events! Everything from Themed Baby Showers to Weddings! Check out photos from a recent 70th Birthday Party! True Enchantment entertained as 1940′s style Cigarette Girls (Usherette’s)!!! Check our Characters page for more photos of this event! Thanks to Katie Colosi www.katiecolosi.com for these fab photos! Frog Princess Celebrates Arwen’s 7th Birthday! Thank you to Arwen and her WONDERFUL family for having the Frog Princess celebrate a 7th birthday! Hatter and The White Queen had a wonderful time with The Buzz Girls! True Enchantment gets Honorable mention from AOL reporter! Traci Hines and Lisa Fabio of True Enchantment were honored to transform into the Mad Hatter and White Queen for a special dvd release party held by the Buzz Girls in honor of Jennifer Todd, the executive producer of Tim Burton’s Alice in Wonderland! Thank you to Staci Layne Wilson from AOL news for the fantastic blog mention! Always looking for her Beast, welcome Beauty! Welcome Beauty to our growing list of characters! The Frog Princess has her Lily Pad Dress! The Princess and the Frog come to True Enchantment! Thanks to Jesse for the fantastic blog posting about us! TEE is featured in FABU by ICY! True Enchantment has been honored with a fantastic review and article in the new blog post by ICY on FABU! Check it out! 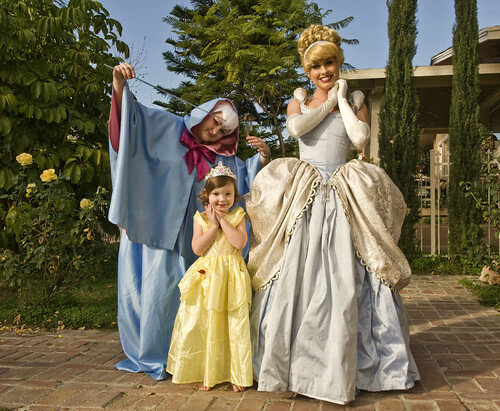 Came across the most lovely article about True Enchantment and our Executive Princess Traci Hines on “Hubpages” today! Thank you so much to user Glimmer515 for the raving reviews! Here is a link to the article! Watch our executive princess Traci Hines do one of The Little Mermaid’s favorite songs in our new Little Mermaid Day dress! True Enchantment Loves Briar Rose! Do you love Sleeping Beauty as much as we do? Briar Rose, Also known as Aurora, has a lovely time dancing and singing at events! True Enchantment Gets Highest Honor with Alice In Wonderland Costumes! True Enchantment Entertainment was honored with best costumes by Academy Award winning costume designer Colleen Atwood, and by actor Johnny Depp 2 weeks ago during the Alice in Wonderland Costume event! Here are some photos of our award winning costumes! True Enchantment brings Cinderella story to life!